Who is Gabriel Teo ? Tana River Life Foundation ( TRLF ) is embarking on a project to provide affordable quality education to the communities in the Tana River Delta. Facilities include a kindergarten, a primary school, a community centre with library, computer lab, seminar rooms, meeting areas, designated areas to house income generating projects (e.g. cafeteria) for the foundation, hostel for staff and visiting donor partners and offices. Oriented to benefit from natural ventilation and lighting, the buildings have been designed to be environmentally sustainable incorporating solar power and rainwater harvesting. Q : When will construction begin ? Q : How many children will benefit from the project? A : When fully operational, the school will benefit over 450 children annually while the community centre will benefit over 3,000 people. Q : Will the community be able to afford the school fees ? A : The school fees will be set based on prevailing market rates. Children from economically disadvantaged families will be eligible for bursary assistance from TRLF. Q : How much does the project cost ? 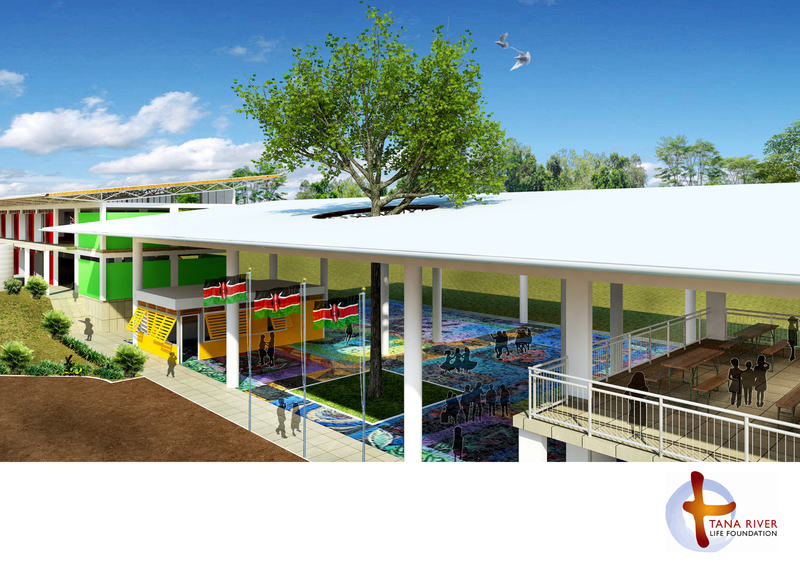 A : Sitting on a 12 acre site with a built up area of 40,000 sq ft, the school, the community centre and office for the foundation will cost S$2,000,000 to build to 3 years from 2012 to 2015. This includes the construction cost, utilities including wells, solar panels as well as professional fees. Jonarons Trust, a private charitable trust has committed to match dollar for dollar for all funds raised by TRLF for this project. Q : How can I help ? Click here to download a copy of the Tana River Life Foundation Education Centre Project factsheet. This design of the centre was made possible by Aedas Pte Ltd and Arup Singapore. Light up their lives. Donations made on Wednesday 18th July after 9pm SG time will be matched.